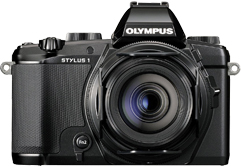 Bearing a striking resemblance to the firm’s hugely popular mirrorless OM-D E-M5 the Stylus 1 is in fact a high-end digital compact camera complete with EVF and a high speed constant aperture 28-300mm equivalent zoom. Is it enough to compete with rival offerings and reclaim some of the market share taken by camera-phones? Read on to find out how well it performs.